It has been a little annoying, having to upload a single photo on Instagram and then applying filters to it. We have all probably wished at some point to be able to post multiple photos in one go on the photo-sharing app. Well, the frustration will last no longer. Instagram has finally decided to let people post multiple photos and create albums. This multi-photo sharing will be available to everyone now, and not just advertisers as before. 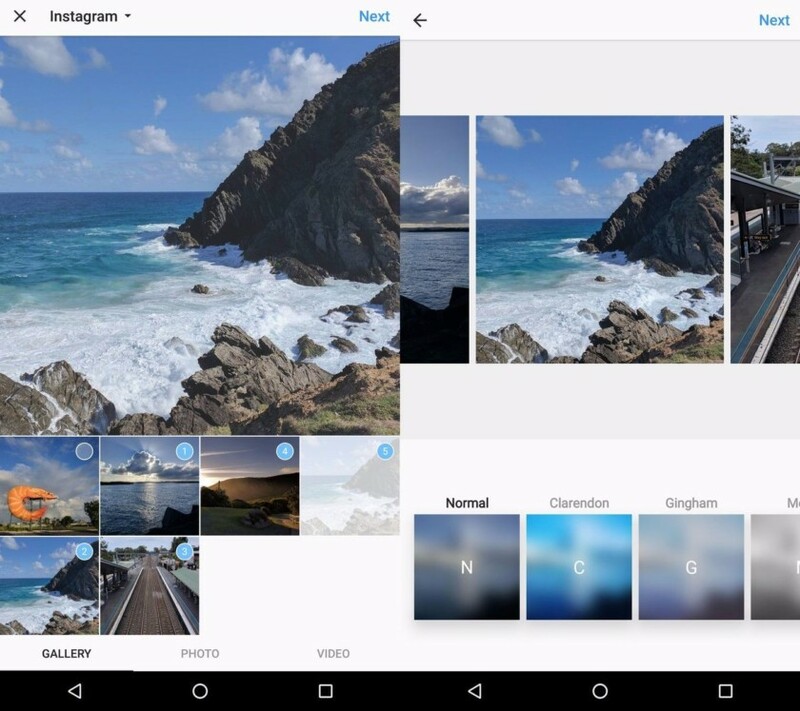 Up until now, Instagram users have been settling with the Layout app, which allows one to create photo collages. It was the closest one could get to sharing multiple photos in one go. The Instagram Story was another way, which tried to fill the void. The process of it is fairly simple. Instead of tapping on a single photo as you normally would, you simply have to press a little longer on the photo and a prompt will appear on your screen, instructing you to either select 10 images or videos. You can apply a single filter to these photos at once or you can edit them individually and then add them to the album. Your Instagram followers will be able to like the photos individually in your post. The company is reportedly testing out this new feature in its latest Android beta release, according to Droidlife. You would think that all the beta users will probably have enjoyed uploading multiple photos in single albums by now. But the new update seems a bit buggy since many are unable to post them to their timelines or are receiving error messages in the process. Not to mention, the update is coming out a little earlier than intended by Instagram so bugs are likely to be common. But Instagram is adamant on fixing it. The photo-sharing giant has had a quite a few interesting updates since last year, which included the Instagram Story and live videos. It may have been copying Snapchat a bit too much, but their updates are admittedly a lot better. What Instagram will do to fix the glitches is unclear for now. But they should definitely get a move on.